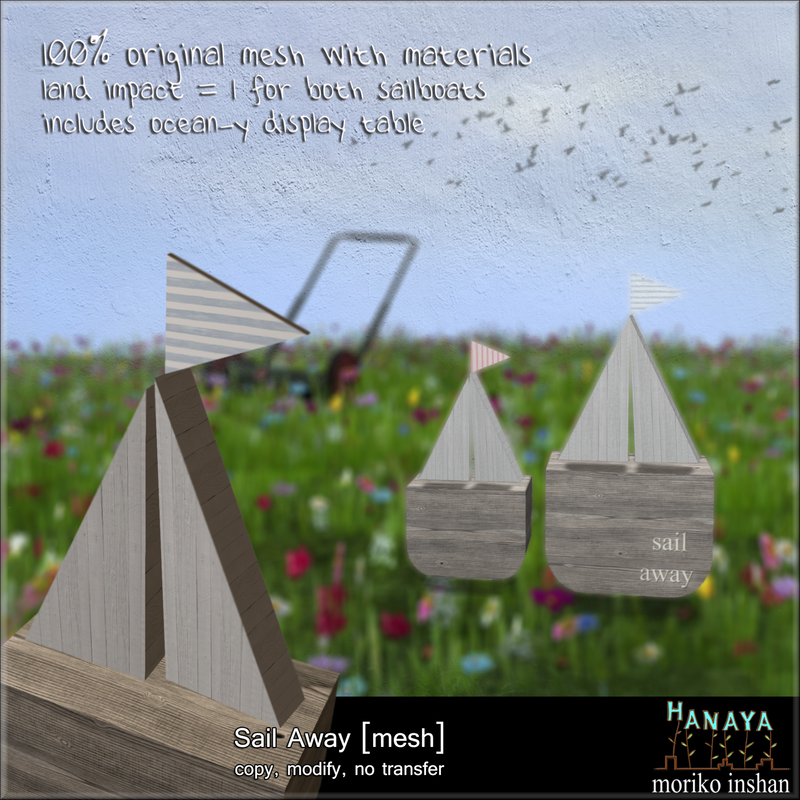 for both sailboats, this original mesh creation from -Hanaya- is too cute to resist. 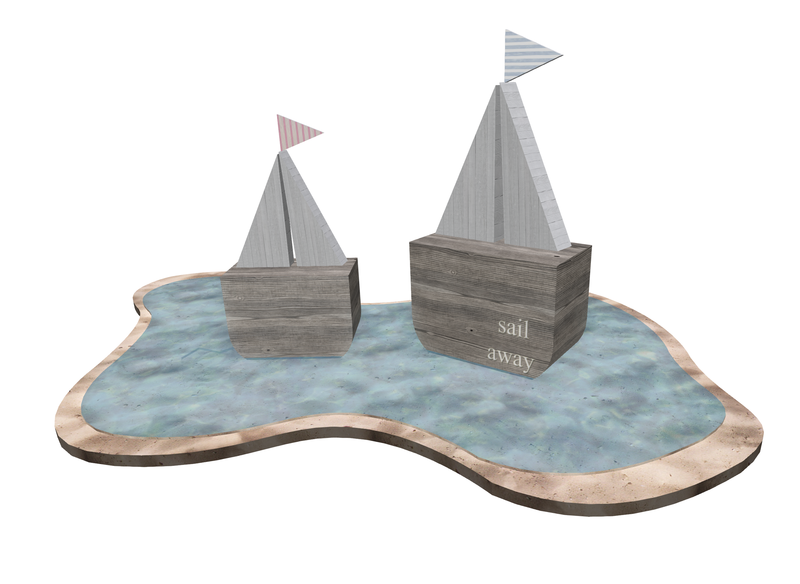 An optional display base with gently rippling ocean water is included, and with the sailboats attached to it, makes the whole piece only 2 LI. Sail Away is available for purchase at -Hanaya- in-world store, and on the Second Life Marketplace. If you belong to our VIP group and purchase in-world, wear your tag to receive the group discount. 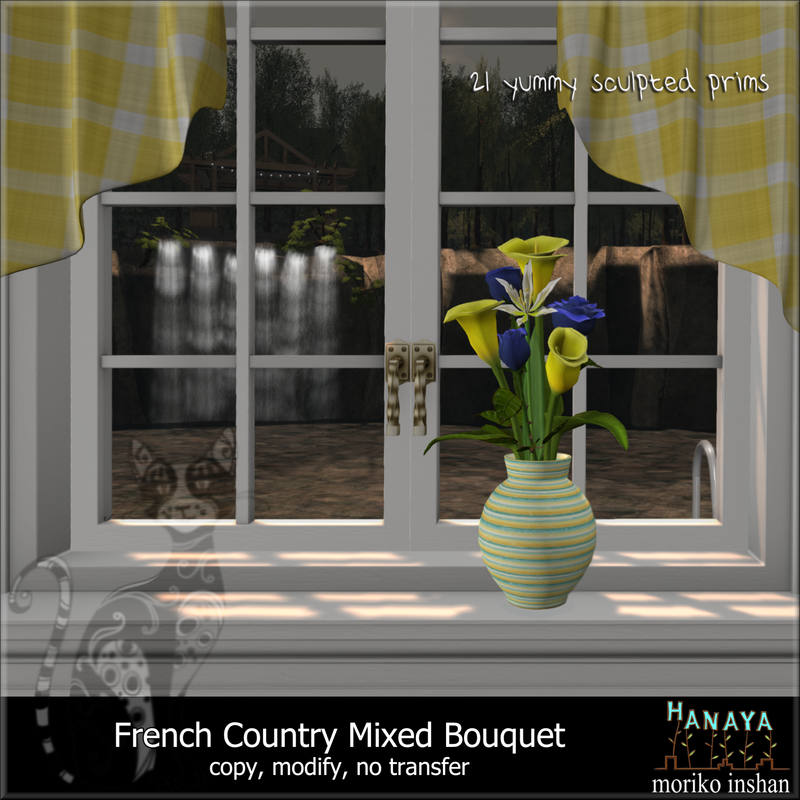 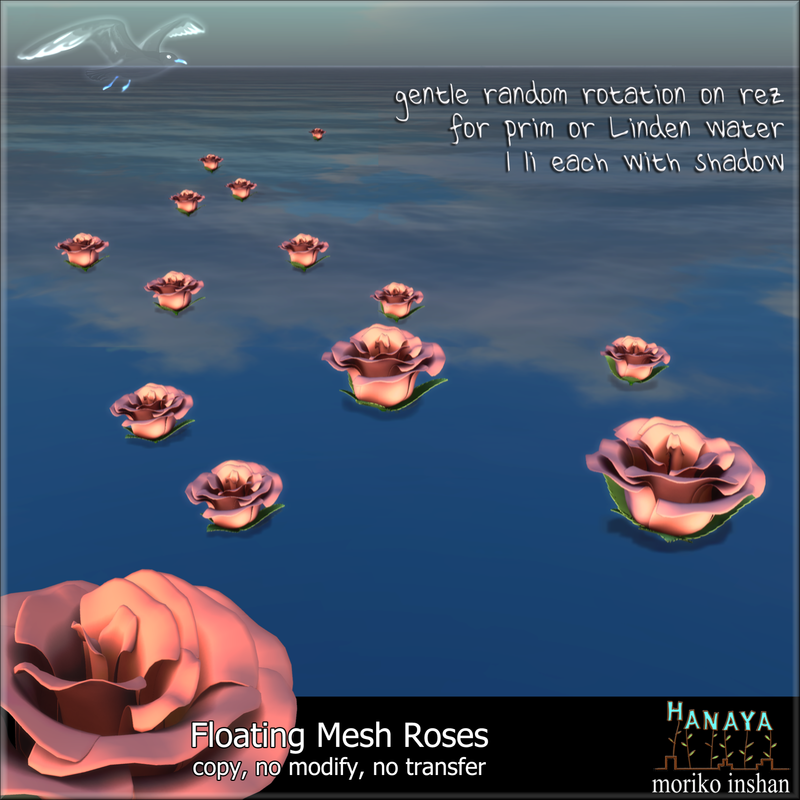 This entry was posted in Product Announcements and tagged materials, original mesh, sailing on April 13, 2014 by moriko.